As the Colorado Core Partner for the National Farm to School Network, LiveWell Colorado supports farm to school and farm to early care and education efforts in Colorado while serving as a liaison for information, resources, needs, and opportunities from our state with the National Farm to School Network. Farm to school programs work to connect school communities – including students, staff, and parents – to healthy local food by increasing the availability of locally-grown produce and enhancing food and nutrition education in schools. Learn more below. Students gain access to healthy, local foods as well as education opportunities such as school gardens, cooking lessons and farm field trips. Farm to school empowers children and their families to make informed food choices while strengthening the local economy and contributing to vibrant communities. Procurement: Local foods are purchased, promoted and served in the cafeteria or as a snack or taste-test. Education: Students participate in education activities related to agriculture, food, health or nutrition. LiveWell Colorado’s Farm to School Primer provides a snapshot of school food in Colorado and explains how schools and communities can work together to increase kids’ consumption of fresh and healthy food while also supporting the local economy and Colorado farmers. LiveWell hosted 15 webinars covering a wide variety of food systems topics including school-based food systems education, youth gardening efforts, and more. 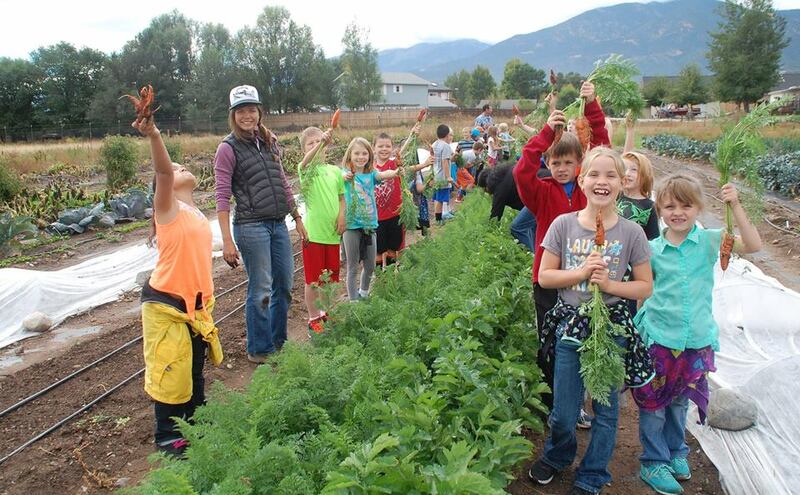 LiveWell Colorado hosted Colorado Farm to School’s Webinar Series that includes 10 webinars that cover procurement models for schools, school gardens, greenhouses and farmers markets, evaluation tools, and more. COFTS supports the development of regional farm-to-school networks across the state. In 2010, the Colorado General Assembly created the Colorado Farm to School Task Force to study, develop, and recommend policies and methods to best implement a Farm to School program. The Network creates and disseminates a wealth of resources including templates, curricula, funding information, webinars, conference information, evaluation and research, and state-specific information. FTPS includes model curricula, tools and resources for schools and parents, funding information, regular newsletters, recent news, webinars, information about national conferences, and more.